While checking the spelling of names and creating links for the Burt Reynolds post, I learned that Fil Fraser also died last year. He was 85, so I will say that he had a good run. But damn it hurts that he’s not in my world any more. I will never forget Fil coming to our home in Vancouver with the script for “The Hounds of Notre Dame”. He sat in a chair in my editing room while I sat in the kitchen and read the script. Then I went into my editing room and begged him to let me direct his movie. I owe Eda Lishman for that introduction, and hence for the directing opportunity. I wasn’t kind to Eda during the shoot, or after. That is one of my regrets now. She was overloaded and dealing with impossible problems. I should have had more compassion for her. A script that has some value to it is a very rare thing in the movie industry. I’ve only read one or two scripts that I felt passionate about in my entire career, not counting the ones I wrote and couldn’t find money to make. I was and still am passionate about most of those. “The Hounds of Notre Dame” was special. I lived and breathed for that movie until I got kicked out of the editing room. Fil made a very public apology for that, on television yet. By then it was water under the bridge and I had lost any confidence in my ability to improve the movie beyond what was finally released. No apology was necessary. Fil had to make a decision between me and Tony Lower, the editor. I don’t think he made a bad choice and I owe Fil big time. So many “war stories” came out of shooting “Hounds” that I don’t know where to start. Here’s one of my favorites I have already written about: The Twenty Thousand Dollar Box. Fil forgave me for that one. In fact, Fil was incredibly supportive while I struggled to make his movie come to life. It didn’t start well. The cinematographer, Ron Orieux, had to figure out how to shoot realistic snow scenes without a dedicated special FX team, and we didn’t realize the problems that would entail. On our budget, a special FX team dedicated to this was out of the question so we were trying to make a blizzard using a snow blower and fans. The first attempt was a disaster. No, I don’t want to use that word. A disaster is when people die. We were just losing our credibility and possibly our careers. What we ended up with on the screen was basically mud. Nothing. The snow between the camera and the actors soaked up all the light that was supposed to illuminate the actors. Fil was furious, both at our poor results and at what he saw as an inability to get organized and productive. “This is just plain amateur night.” he said. But he didn’t pull the plug on us, and Ron found the solution to the problem. We needed a screen just in front of the camera that snow could be sifted through, with a lot of lights on it. Then nothing between the camera and the actors who were hosed by the snow blower and snow tossed into the fans. It was a struggle to get a shot between the lumps the size of baseballs, but we managed it. As we got organized we gained speed and the rushes started to look good. 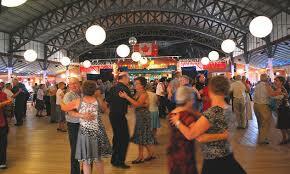 But one more incident really sticks in my mind, and makes me remember Fil Fraser with great affection. Two of the more experienced actors in the film, David Ferry and Frances Hyland, got together for dinner one evening and possibly drank too much wine. At two in the morning I got a phone call from Fances. We were to shoot a scene between her and Thomas Peacocke, who played Father Athol Murray, the next day. Frances had just discovered what she saw as a problem with the script. She told me that the scene, which was set in the church, could not be played there, that the church is a holy place and the scene was too worldly and mundane. I attempted to discuss this with her but she went into a rant about my lack of understanding. I hung up on her. I thought about calling her back, because I knew that her next call would be to Fil. But no, I wasn’t going to call her. I desperately needed my sleep. The next day we had a screening of our dailies, a rare occasion at that location with the film being processed in Vancouver and the cast and crew working in remote Wilcox. I was very worried about what Fil would think of the call from Frances. I needn’t have worried. Fil presented me with a leather shoulder bag of his that I had admired. Under those circumstances, that shoulder bag meant the world to me. I carried it and used it until it fell by the wayside at some point in my life, but I am still grateful for it. That was Fil Fraser. Oh, and the scene. I changed it to a stairwell location between the church and the dining hall. Ruffled feathers were smoothed. Back in the early nineties I was living in Gibsons Landing, with Marina House, my home, right on the water. Gibsons Landing was the location of the long running CBC series, “Beachcombers”. I was asked by a CBC producer in Toronto why I hadn’t been hired to shoot more Beachcomber episodes. I shrugged and said I didn’t know. 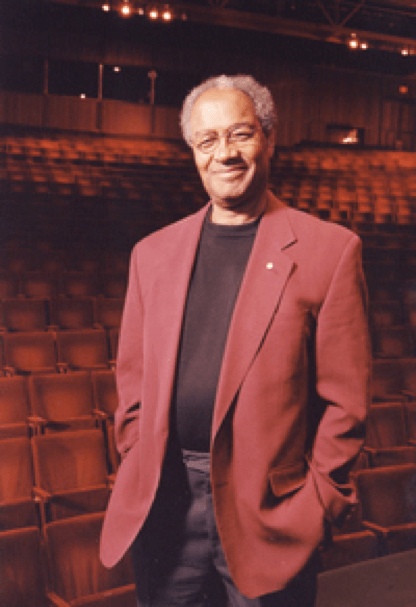 At the time, CBC was occasionally flying me to Toronto to direct for them there, paying my hotel and per diem. They could have my services in Gibsons without that expense. Yet they were flying directors in from Toronto and putting them up in a hotel and paying THEM a per diem while I was sitting on my front porch watching them direct in front of my house. It made no sense. That was a flattering and disturbing observation. The implication was that I am an artist, and what the producers were looking for was a standard television hack. That has never been me. But even an artist has to pay his mortgage and feed his family. I’m sure the CBC producers wouldn’t have seen it this way, but I suspect that their survival depended on making acceptable, but unremarkable, shows. A bureaucrat survivalist doesn’t want to be seen as a hot shot, innovative boy wonder. They want to produce stuff that isn’t bad, but also doesn’t really attract attention. After all, if you stick your head above the trenches, somebody could shoot you. Or, as the Chinese put it, it’s the tall nail that gets pounded down. I enjoy solving problems. Sometimes I think producers would rather I didn’t, because I see problems that they don’t see or if they do see them, don’t care about. I’m sorry, but if I see a problem with the script I can’t see any choice but to solve it. Take the case of the murder in an episode of Scene of the Crime, a Cannell production. We were shooting Vancouver for London England, which is puzzle enough given the cars on the wrong side of the road. We were creating London with a British phone booth, one rented car with a right hand drive, and very careful angles. But the method of murder the writer invented was to cut the brake line on the victim’s car so that he will crash and die. In London! Leaving aside the fact that the car in question had mechanical brakes, my memories of London is that it is fairly flat. Maybe there are steep hills and frightening cliffs hidden someplace in the city, but I certainly don’t remember them. Cutting the brake lines seems like a questionable murder method. Wouldn’t the victim just pull over to the curb and grind along until his car stopped? So I suggested that the car starts off on the top floor of one of those parking garages with many levels and a steep spiral exit ramp. That way, once the driver is committed to the ramp he’s lost all control. I could do the standard shots of his foot stamping on the brake pedal. We could add tire squeals as he takes the curves. And then, to finally do him in, how about there’s a big truck stopped at the exit gate and he can’t avoid smashing into it. I could see it all, shot by shot. This could work. That’s when they told me that the car was a rental, and would have to be returned without so much as a scratch on it. Okay, no problem. We do the standard shots, then a POV of approaching the truck. Then for a final shot of the sequence the car is actually stationary. We mount a sheet of glass between two century stands in front of the windshield. The actor rocks forward to the windshield, and we note the spot where his head lines up with the camera. Then he repeats the action at some speed and we hit the sheet of glass with a glue stick out of a trunion gun, right on that spot as his head arrives. The glass will shatter, and it will look like it was the victim’s head that shattered it. Did it work? Brilliantly. In fact, watching the shot, it was easy to hallucinate blood on the shattering glass. Of course the downside of such success is that I cause producers stress, adding complications to their lives. I also suspect that I made few friends in the special effects department. People don’t like to be told how to do their job. Someplace in the archives of Cannell Films is a rather incredible piece of footage. I wish I had access to it, just to see if it is as good as I think it is. I shot it. Here’s the story. Alex Beaton, the line producer in Vancouver for Cannell Films gave me a call. 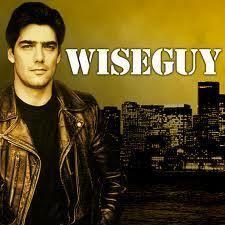 They had moved their hit series, Wiseguy, to New Orleans for a season and managed to put it in the toilet. Our actors and crews in Vancouver had made it a hit. I don’t know what motivated the move to New Orleans. Possibly it had something to do with introducing a new wise guy character. In any event, the move hadn’t worked. They wanted to shoot a new opening sequence back in Vancouver. Could I story board it? I’m not a story board artist, but I can get the idea across. Alex handed me the script for the new intro and I set to work. It was a narcotics bust. The scene was to start with a helecopter approaching. Then a shot of the doors of a swat team truck opening. The swat team emerges and loads weapons. The DA’s car roars up. We see the decal on his door. The DA gets out and talks to the captain of the SWAT team, a few lines of dialogue. Then the truck rams the doors to a warehouse. The SWAT team enters and shoots a couple armed bad guys before arriving at a door at the back of the warehouse. SWAT team members step in with a battering ram and takes out the door. The DA and the swat team captain enter to find cocaine being bagged. The DA presents a court order to the head criminal who spits on it contemptuously. The DA collars him and wipes the spit off on his face and they drag him away. After considering each shot described in the script, I ended up with twenty-two shots in the story board. The story board was sent to Stephen Cannell for approval, which it got, and then Alex asked me if I would shoot it. Of course I said I’d be delighted. Then Alex dropped the bombshell. He could only give me two hours to shoot the scene, and that would be with the crew that had just finished the day of shooting with another show. Oh, and they couldn’t afford a helicopter. We’d have to fake it with a bright light and a sound effect. Twenty-two setups, which is what the story board called for, would normally be a full day of shooting. To achieve it in two hours with an exhausted crew was just madness. Naturally, I shrugged and said sure. No problem. Okay, I wasn’t quite that sanguine about it. I protested. I presented a reasonable argument for why it was impossible. But those were all the resources that Alex had. I gave it some thought and decided I could see a way to do it. The solution was to combine all twenty two shots into one carefully choreographed shot. We would begin with a Steadicam operator up on a ladder for the doors of the SWAT team truck bursting open. He comes down the ladder and the shot settles into a close up of shotgun shells loading, then tilts up to see the helicopter whirling overhead taking us to the DA’s car arriving, moving in to a close up of the DA decal on the side of the car and up onto the DA as he gets out, becoming a two shot as the DA and the SWAT team captain talk, then they step to one side as the SWAT team truck rams through the doors. They follow into the warehouse and the camera swings to catch the guards getting shot then finds the door at the back just as the guys with the ram break it down and we follow the DA and SWAT team captain into the room where the action plays out as one continuous shot. Alex told me that I could have only one take. I could see the impossibility of asking for two. The reset would take hours. But one take was enough. Damn but it was beautiful. We shot a couple of cut aways just in case the pacing needed to be tightened up, but I didn’t think they’d be needed. The whole shot played, beginning to end, with every frame in the story board included and flowing from one to another. I never heard much about that shot from anybody at Cannell films. Maybe it wasn’t as impressive as I thought it was. But I think it was amazing. . Sometimes the suits and the brass on a production come up with a brilliant idea, but since they have limited experience with actual shooting they can hand a director an impossible task. Such was the case for me on The Edison Twins. The show had been going over budget, through no fault of anybody on the production end that I could identify. The scripts were just very ambitious. Each episode was given one day of prep and four days of shooting. Now the producers wanted to save some money by doing an episode in three days. How do you do that? Well, let’s get the writers to give us an episode that is all in one location so it can be “block shot”. This should mean that we save all the wrap time and moving time as we go from location to location. Sounds like a great idea, right. So they hand me a script and tell me that this will be a three day shoot. There’s only one problem. The script calls for a highschool play, with everything taking place in the school auditorium. So far so good. Except we can’t jump from one scene to another and shoot efficiently, because the show starts with an empty auditorium and a bare stage then develops gradually until there is a complete set on stage, actors in costumes, and chairs in place for parents and audience to occupy. Every scene still has to be blocked and lit. Actors still need time to work out their performances and say their lines. Jumping from a scene near the end of the show to a scene near the beginning of the show and back again just can’t be done without at least an hour of set dressing and costume changes. The show has to be shot in sequence, and any efficiency gained by having just one location will be lost by the demands of continuity. Halfway through day one we were already two days behind schedule on a three day shoot. This may be a slight exaggeration, but not by much. By day three, which was supposed to wrap the episode, we still had at least two days of shooting left to do. The three day shoot turned into five. 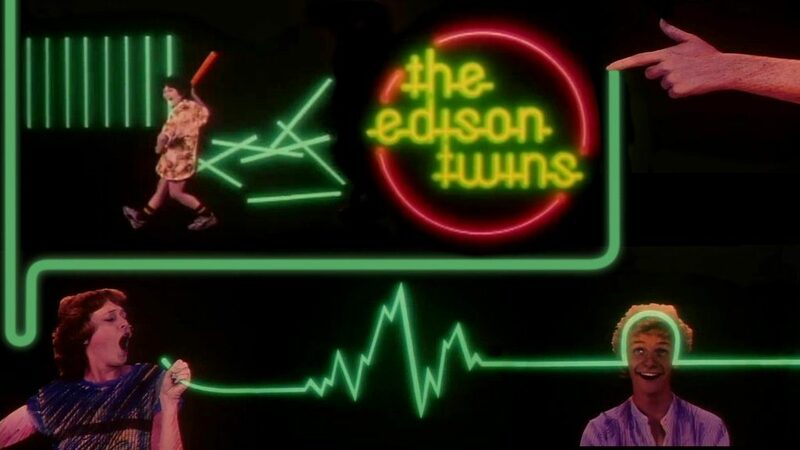 That was my last shoot on “The Edison Twins”. They had to blame somebody, and the obvious choice was the director. No hard feelings. That’s just the way it goes sometimes. It was a great run, and I was sad to see it end. The Edison Twins was not the only episodic show with inexperienced visionaries making disastrous decisions. I’ll never forget the cave of mirrors on Kung Fu the Legend Continues. That sounded like such a good idea to the writers and the show runner. Wouldn’t it be great to have a cave of mirrors where the climactic kung fu battle happens. I mean, wouldn’t that be confusing if Caine couldn’t tell whether he was seeing the bad guy or a reflection of the bad guy. So at great expense, such a set was constructed. The cave of mirrors. Mirrors everywhere. Triangular mirrors built into pyramids of stalactites and stalagmites. It was beautiful. The thing is, the camera only sees in two dimensions. It doesn’t have binocular vision. So a mirror doesn’t look like a mirror to the camera. It looks like a hole, the entrance into another space. And what is worse, when you put a film crew in a cave lined with mirrors at all different angles, it becomes very difficult to hide the crew from the audience. When you are watching the kung fu fight, it’s rather distracting to see a thousand versions of the camera crew reflected in all the mirrors. That shoot was a nightmare. We ended up using dulling spray to turn most of the mirrors opaque, so that we could shoot without seeing the crew. I don’t think I ever saw the completed show, but I sure would like to. Zale Dalen – where the imposter syndrome meets the Dunning Kruger principle. How can one possibly feel competent to direct a movie? When I thinks about what a director should be able to control to do an effective job – image, actor performance, editing rhythm, sound effects, music, and most of all audience reaction – the task seems impossible. One can only approach it with great humility and a certain amount of dread. 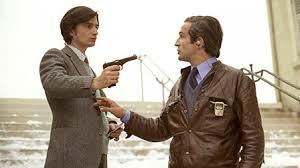 When I started directing I usually felt like an imposter, a fraud, a victim of a thousand forces beyond my control. It took some time to get over that feeling. That’s always been something that I find amusing. Everybody on set is pretty sure they can do a better job than the director is doing. Direction is the easiest skill set to belittle, or fail to recognize, or assign to somebody else on the crew. I remember a production manager talking about a friend of mine, Phil Borsos, and sounding off about how Phil didn’t really direct “One Magic Christmas”. She claimed it was directed by the cinematographer, Frank Tidy, while Phil was hiding somewhere snorting coke. I took it upon myself to enlighten her. “I don’t care what Phil seemed to be doing on set, but if you look at his first film “Spar Tree”, a theatrical short, and his second film, “The Grey Fox”, there’s little room for doubt that he directed “One Magic Christmas”. His finger prints are all over that movie,” I told her. “Furthermore, I know that movie was dead. Unsupported by the standard funding sources. Phil did the work to bring it to life, finding funding, polishing the script. It was years of effort that nobody saw and few recognize. So please don’t tell me that Phil didn’t really direct that movie. That movie wouldn’t exist if Phil hadn’t directed it. Very few people really understand what a director is doing, and only the best directors are actually doing it well. Because the hand of the director should be almost invisible. The director is a presence, a control figure. Peter O’Toole’s character in “The Stunt Man”, nailed it – searching for something he’s not quite able to identify, but ready to accept it when the writer brings it to him. A professional film crew is like a performance sports car. You don’t want to go twitching the wheel this way and that, micromanaging to realize some incredibly precise vision of the product you are after. Subtle and gentle movements are what is required. The same goes for actors. In Michael Green’s The Art of Coarse Acting he describes the only four directions a director should be allowed – faster, slower, louder or softer. I think directing can be more granular than that, but the idea that the director is a puppet master, pulling the strings of the actors and controlling every aspect of the performance, is just absurd. 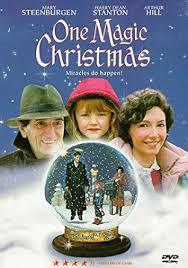 There’s a film, the name of which I have forgotten, in which Peter Coyote plays a movie director. I don’t know whether it was intended as a parody, but it really illustrates this point. His version of a director is a micro-manager in the extreme, telling the actors when to pick up a prop and how to hold it, dictating looks and gestures. I’ve never met an actor who could hold such instructions in their head while delivering a performance. Such a director is only going to give themself a headache and an overwhelming feeling of frustration. And yet I’ve seen beginner directors trying to behave like this, delivering long lectures to the actors about how to play the scene. Wrong. Tell the actor what the scene is about, what is happening in the scene, and then trust that the actor is an artist who will play it. Only give a direction if something is drastically wrong. And then only give the simplest direction you can find to solve the problem. The truth is, a good director controls very little and is at the mercy of innumerable forces totally beyond their control. A good director is the calm in the eye of the storm, reassuring, supporting, and offering advice only when asked or when obviously needed. Truffault, in Day for Night described directing as “dancing with the devil”. (To paraphrase: At the start I wanted to make a great movie. Now I just want to get the damn thing finished.) And it’s true. The director puts fears and worries aside and assumes they can come out of the process with something of quality. And then they hit the floor with a flexibility and willingness to go with the flow that allows all the other technicians and artists the space to deliver their best as well. Over the years, I got over my imposter syndrome. And as I acquired skills, my Dunning Kruger syndrome slowly turned into its corollary – that a competent person assumes what is easy for them is easy for everybody. * It took me years, and many hours on set, to get a handle on what I bring to directing. Essentially it is this: I have a talent for finding order in chaos. 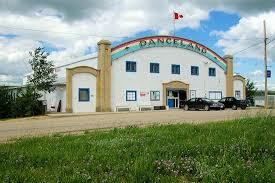 Give me a dance hall with two main characters and a couple of hundred extras, as I had in Watrous, Saskatchewan at the Rainbow Dance Land while directing the Saskatchewan film for Expo ’86, and in a few minutes I can organize a scene that flows and looks wonderful. Do you remember the first time you drove a car in heavy city traffic? If you are like me, you were very tense, trying to be aware of every car in every direction. It’s only after driving in city traffic for a while that one calms down and only pays attention to the important stuff, like where you are going and is anything in the way. My first days on a film set were like that. I was trying to be aware of everything that everybody was doing, from the camera crew to the boom man to the craft services. It was only after a few hours or days on set that I could focus on the things that needed my attention, and let the completely competent technicians do their jobs without my monitoring. Then directing became…no, not easy. It will never be easy. But at least less stressful. Just as driving in a Chinese city during rush hour no longer gets my heart rate up. *Totally aside from directing, I noticed the extreme corollary to the Dunning Kruger effect in myself when I tried to show a friend, a very accomplished musician, how to play the harmonica. I’ve been playing the harmonica since I was about six years old. Nothing could be easier for me. I always assumed it would be just as easy for anybody with some skill at music. So I was very surprised to see my friend struggling with something as simple as getting a single, clean and pure note. For me, that’s no problem at all.